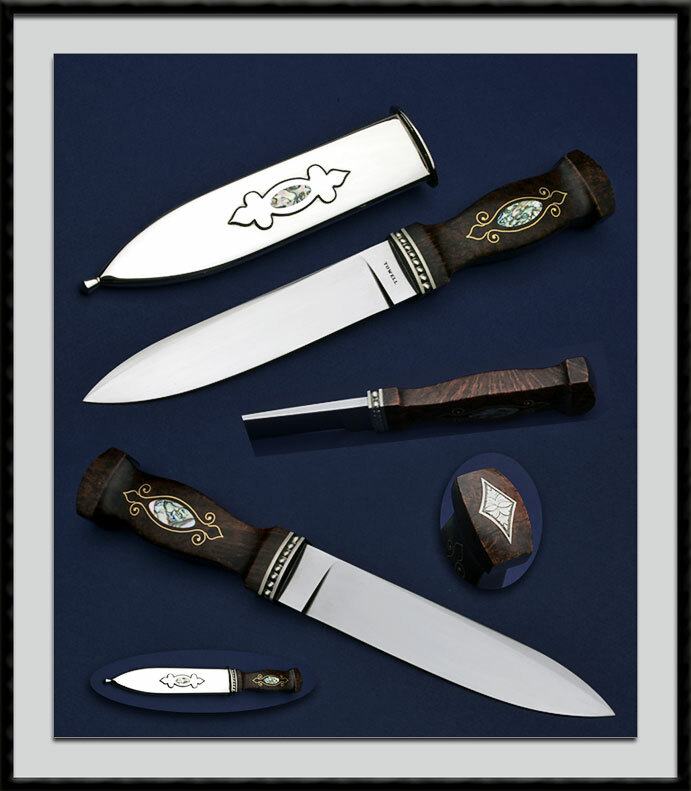 Guild member Dwight L. Towell crafted this Presentation Dirk, Satin finished Flat Ground ATS-34 blade, BL = 6”, OAL = 10 1/2", Carved Nickel Silver Bolsters, Sculpted Walnut burl Handle accented with Gold wire Inlays, Abalone Escutcheons and an Engraved End Plate. Comes with the custom SS Scabbard with an Abalone inlay pictured. Condition is Mint.